Lithuanian Science Prize winner Romualdas Kriaučiūnas: Have I really done so much? His story warrants a cinematic treatment. At eight, together with his mother and two sisters, he fled to Germany, to escape the Red Army; at thirteen, he came to the United States. He grew up without a father, worked hard and studied all his life. 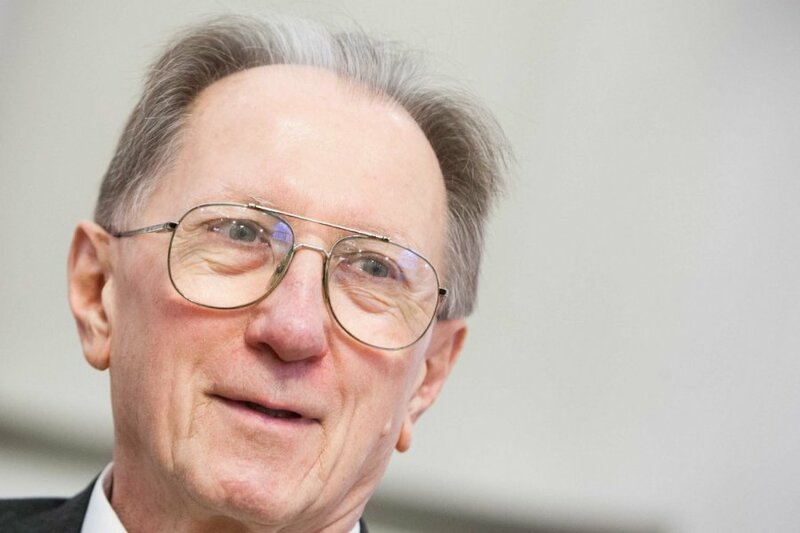 At 76, Romualdas Kriaučiūnas was awarded by the Ministry of Education and Science of Lithuania for his life-long achievements in promoting science. On 8 November, three expatriate Lithuanians – Vilius Lėnertas, Romualdas Kriaučiūnas, and Skirmantas Kriaučionis – were awarded 13-thousand-litas prizes. They presented their research to the public in open lectures. Kriaučiūnas, clinical psychologist, lives in Lansing, Michigan, but he says he has never forgotten Lithuania. - You are considered one of the outstanding psychologist among Lithuanian émigrés. What made you, in the 1960s, choose a profession related to people’s psychological health instead of physical? Before that, you were interested in the arts. - It happened gradually. At first, I studied arts, but one can hardly make a living on that, merely give joy to others. So I chose a pre-journalism course. Later I discovered that it was difficult for a foreigner journalist to make it in America. I recalled that, upon applying to university, I did some tests that showed my interest in social sciences. I had to take a prep course to be able to choose sociology. And since I had done psychology before, that was the subject I chose. After graduation, I was appointed to a war hospital’s psychic unit. I saw for the first time what psychologists actually did. I liked it and so I carried on with the studies. - As a psychologist, you went by the motto “Let your interlocutor speak about himself and he’ll think he is conversing with the most interesting person in the world.” Where does it come from? - I was a student, I broke a traffic law, and I had to report to a police station in Chicago. And there was a huge sign with this inscription. I was very impressed with the fact that police officers were instructed to make each person feel important. This saying applies to everything. For instance, you are now giving all these nice questions about me, I feel very flattered, I and think you are a very interesting journalist. In fact, I am more used to asking questions than answering them. - I could just as well call you a senior colleague – you have written so many articles in English and Lithuanian. - I am a psychologist by trade and a journalist by calling. I haven’t had any special training, but it’s something I liked, I taught myself, I saw that people were reading my stories and I even received an award seven years ago. And now they invited me to Lithuania. - They did to award you a prize for lifetime achievements in science and its promotion. Which achievement is the most important to you? - I came to America when I was almost fourteen. I started working 50 hours a week in a factory. I lied that I was sixteen in order to be hired. No one checked my documents. It was tough, I couldn’t hear anything after returning home – noise in the factory would leave me completely deaf. I was two years short of graduating from a gymnasium, but I didn’t want to quit my job at the factory because I was supporting my mother and sisters. My friends were a good influence – they were going to a normal day school, and I went to sign up with a night-school. I was too young, they told me. I came back a few weeks later, I glanced through the door – there was another lady sitting at the table. I told her I was sixteen. For two years, I would go to classes every evening after work. I also signed up for a commercial arts course. I had no free evenings nor weekends, I would only see my family during mornings. When I went on stage for my graduation, for me, it was the greatest achievement imaginable. All subsequent achievements of my life pale in comparison. Another victory was when, during my military service, I was stationed at a base of 16 thousand soldiers. I had just got off a ship, I spoke very poor English, and yet I was selected soldier of the month of the entire base! - You’ve dedicated so many hours of your life to work. Perhaps other achievements are not so negligible? - Yes, I thought as I was flipping through my old calendars: Have I really done so much? Each minute was filled with something. I took part in all kinds of activities: I chaired the Deaf and Mute Union, the council of the Lithuanian youth camp Dainava, I worked a lot with the Lithuanian catholic organization Ateitis – much of my time went to volunteer work. I am very productive. Everything I have written, about 1,500 articles, I put into my portfolio. I do not know how much it counts, but they do recognize my name in America. People said they were reading my works because of their wide range of topics. Statistics, science, psychology, politics – I take interest in everything. The feedback is what keeps me going. It is not customary to get paid for this kind of work, unless you work with a publishing house or a newspaper. - You currently work for a Disability Determination Service. What kind of work is that? - It is a big industry. The Lithuanian equivalent would be Sodra (Social Security Fund). My area of expertise includes mental disability determination. I review files first and determine whether people’s conditions qualify for disability benefits as stipulated in the law. I think that about 30 percent of all cases warrant disability benefits. There are simulators, too. People, who could not find a job due to the economic crisis, tried to secure income through disability. There has been a big increase of this kind of unskilled unemployed people. We cannot grant disability to everyone, the entire social security system would go bust. Over the course of 22 years, several billion dollars passed through my hands. It’s a huge responsibility – and I have to read two files per hour. - In addition to that, you sponsor two rural schools in Lithuania, actively participate in Lithuanian community events, cooperate closely with Lithuania. Is it all because you feel obliged to the homeland you had to leave? Or is it out of reverence and love for the native land? - You keep asking me those things, even though I myself urge people not to bother or ask why. But you hit the mark with your last question. There is love, attachment, duty. Parents taught me so, that was a factor. Lithuania was occupied at the time, we felt oblige to survive. My Lithuanian wife and I try to pass it on to our sons – all three went to Saturday school, they can speak and write Lithuanian. One son even married a Lithuanian girl. In Lithuania! They had a son there. And they also adopted a Lithuanian boy in the US. - It took a long time before the iron curtain fell and you could visit your homeland. It was in 1989, merely a day after a tricolour flag was hoisted in Gediminas Castle. What were you feeling then? - We stayed at the hotel “Lietuva,” arrived late, after dark. And the first thing I saw in the morning was a tricolour flag. It sent shivers down my spine. It still does, each time I recount the story. We discovered that they would do the same thing in Kaunas. There was a thousand-strong crowd waving small flags. I was standing on the foot of the Lenin statue – a little further, so I could see everything. It was time to sing the Lithuanian anthem. I thought that the crowd didn’t know the lyrics – they were so shy, almost humming, looking around themselves. But they finally took heart and sang. It was unforgettable. When I was going to fly back to America from Vilnius, via Moscow, and had to take a train due to heavy fog, strangers started putting something into my pockets. They said: Please, send these letters to the West. This was a desperate desire to announce their scholarly articles to the world – something they were prevented from doing by the Soviet authorities. The world is shrinking now – shorter distances, the internet. I come back to Lithuania every two or three years, I can see it change. My son Aras, who hasn’t been here for a long time, keeps wondering: So many cars! And all Western brands. Born on 21 January 1936, in Panevėžys. Fled to Germany in 1944, went to the United States in 1949. Received Master’s degree from Roosevelt University, doctorate from Washington University. Later professorship at Michigan State University. Kriaučiūnas authored and established a psychology internship programme which was accredited in 1979 for the entire country. Kriaučiūnas’ key works are concerned with links between memory distraction and age; depression and suicide among elderly people; fighting mid-life crisis. 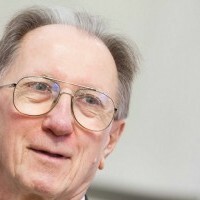 In 2005, the US Lithuanian Community Council awarded Kriaučiūnas a prize for his life-long achievements in Lithuanian-language media.